Does AMD have a new x86 APU in the pipeline? 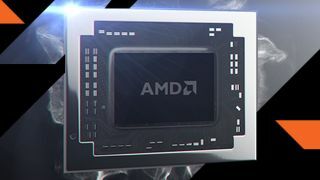 AMD's heterogeneous computing aspirations have taken another step forward after details began to seep out of a new advanced processing unit (APU) using its powerful Zen x86 cores. A slide leaked by Fudzilla, which has not been verified by AMD, shows details on the compute, graphics, and memory elements of the new APU that could allow it to claw back Intel's lead in the x86 server market. The compute element boasts up to 16 AMD Zen x86 cores that can handle 32 threads with each core possessing 512KB of L2 cache and there is a 32MB shared L3 cache. It's worth noting that Intel has been offering the 32 thread setup for some time and has had no problems doing so. Enterprise customers, meanwhile, will be happy to see secure boot and a crypto co-processor included as standard. Graphics is where the APU really shines thanks to a "Greenland" stream processor that offers up to a whopping 16GB of high bandwidth memory (HBM), half rate double precision compute, and ECC and RAS as well as heterogenous system architecture (HSA) support. On the memory side of things it has four-channel DDR4 RAM with ECC up to 3,200MHz and can handle memory capacity of up to 256GBs per channel. In addition, it also possesses 64 PCI express Gen3 lanes with 16 switchable with 2 lanes of SATA Express and 14 lanes of SATA. It's expected that the new APU will be aimed at enterprise, server and high performance computing customers with more details expected to emerge in the coming months. We have contacted AMD regarding this matter, but the company has not immediately responded. Guess who is apparently interested in buying AMD?